Surf Drive Beach - only 300 ft from house!!! This immaculate, updated, air conditioned, ocean view 3 bedroom, 1.5 bath home is just 300 feet from child-friendly Surf Drive Beach. 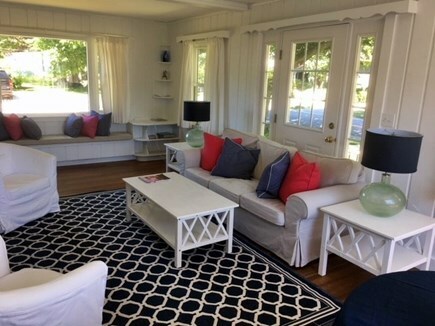 From the patio and living room, enjoy great views of Martha's Vineyard and Nantucket Sound. 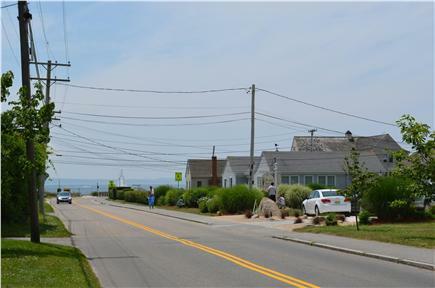 Walk to the beach, quaint Falmouth village and Falmouth Harbor. 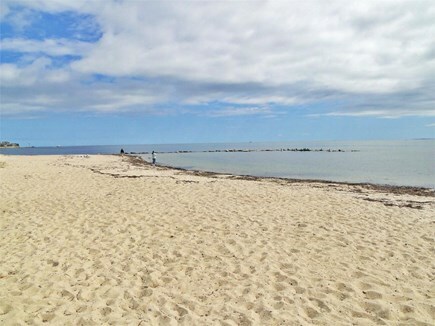 Short bike ride along Surf Drive Beach to Shining Sea Bike Path which is a scenic ocean view ride to Woods Hole and North Falmouth. 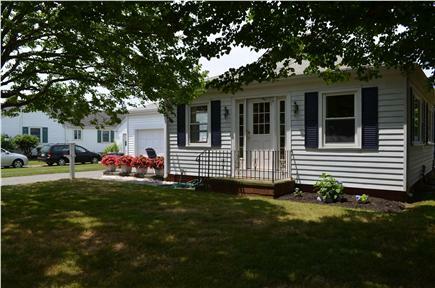 Located on Shore Street which is one of the nicest streets in Falmouth. 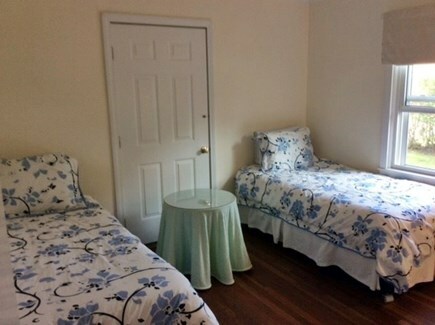 Washer and dryer.Cable TV,high speed internet.Outside shower facilities, Matouk bedding on all new mattresses. Additional availability info: Winter Rental $1200.00 plus utilities. This is a Saturday to Saturday vacation rental. Additional pricing info: Security Deposit $300.00;returned upon inspection within one week, State and local taxes of 12.45% will apply. This house rental was a very nice experience for my wife and me. The landlord is very nice and helpful. The place was clean and nothing needed fixing for our 2 month stay--which is unusual for a rental. Wi-fi worked well, we were able to walk to town for shopping, dinner and breakfast--less than 1/2 mile to Falmouth main street. Our family of 6 - including 3 teenagers - stayed at this cottage for two weeks and had a wonderful vacation. The home was exactly as described and was exceptionally clean when we arrived. It is close to everything. Surf Drive Beach is at the end of the street, and we were able to go back and forth between the cottage and the beach easily. It is a short bike ride to the Shining Sea Bike Path and we easily rode our bikes to Woods Hole on the Path. Falmouth Center has a number of nice restaurants and ice cream shops and it is very close - about a 15 minute walk or a short drive. We generally walked to the Center. The Falmouth Road Race occurred during our stay. It was busy, but quite a bit of fun as the course goes right by the house. The owners are incredibly nice and were completely responsive to any questions we had. We had a lovely vacation and would definitely return again. We've stayed with our family at Mary's house on Shore Street several summers in a row. It's a beautiful place to stay in its own right - spacious, inviting, clean, and very homelike. There is a lot of natural light from the many windows, and there are wood walls and floors in most of the rooms. 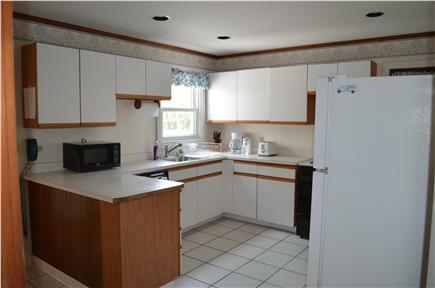 We like to cook, and the large kitchen is well stocked in terms of pots, pans, bowls, and other cooking utensils. We just returned from a week in this home and my family of 6 adults absolutely loved it and would definitely return. It is a "home away from home" and the location is absolutely perfect. You can go back and forth to the beach in minutes and it's just a short walk to the center for shopping and dining. Spotless home with every convenience. Hope to return next year! This is a wonderful summer home. Spacious, very clean and well kept, delightful yard and walk to everything. Walk to Surf Beach or town. Great kitchen and house, spacious yard. You'll love it! My family and I have just completed another fantastic vacation at this warm, wonderful home. It really is not at all like a vacation rental, but rather it is a "feel right at home" place. The house is light and airy, the kitchen is modern and fully equipped and everything is immaculate. The owner, Mary P., is so easy to deal with and does not intrude on you while you are there, yet is readily available if you need her. 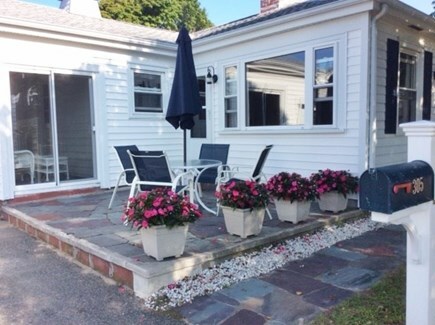 We have been renting in Falmouth for 40+ yrs. and my daughter said last week,"This is the nicest place we have ever stayed!" Location, location, location! 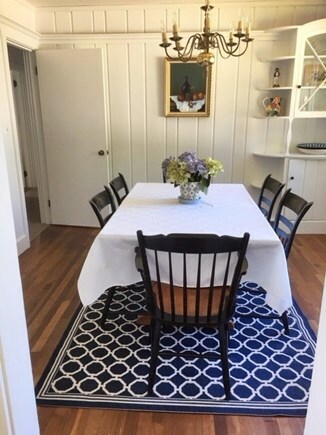 Prime spot just steps away from the beach and a short walking or biking distance to town, restaurants, shops, bike path, and ferry to Martha's Vineyard! 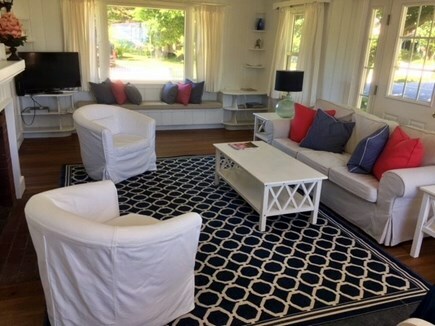 A very spacious and comfortable home, with a great view of the Vineyard! We will definitely be returning! Thanks for a terrific stay! We thoroughly enjoyed our week in this immaculate house. 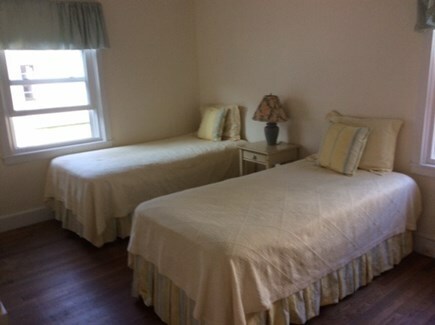 The bedrooms were in the back of the house away from the living areas which made them nice and quiet. The livingroom was nice and bright and the patio very sunny and pleasant. We loved walking to Surf Drive Beach. "This is an amazing find! 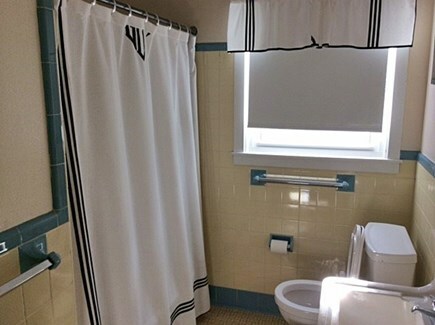 Immaculate, fully equipped home with beautiful views of Vineyard Sound. Fabulous, convenient location! Steps to Surf Drive Beach and a short walk to town where we enjoyed delicious dinners and great shopping! We also enjoyed the close proximity to the Shining Sea Bike Path. Thank you for a wonderful stay! Perfect home for a relaxing vacation at the beach! We look forward to returning next year. Highly Recommended! !